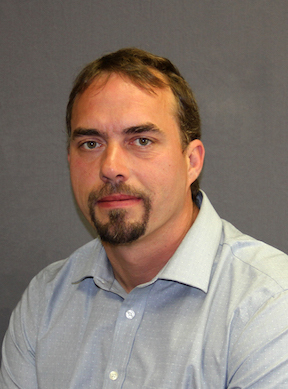 Green Bay, Wis. – Sam Sikorsky, a 16-year veteran of the flooring industry, has joined H.J. Martin and Son as an estimator in the company’s residential division. In that role, he works directly with residential customers, including on-site measurements, to ensure that materials and costs are in line with expectations, from specification through installation. Sikorsky started his flooring career in 2000 with Door County Carpet One Floor & Home in Jacksonport, Wis., spending 10 years with the company, including time as a foreman. 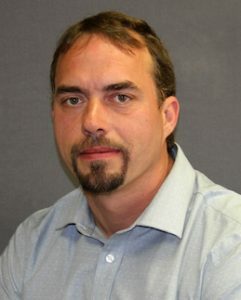 In 2010, he began a full-time commitment to the flooring installation company he had originated in 2006, Acme Flooring in Sturgeon Bay, Wis.
Sikorsky received an A.A. degree in Civil Engineering Technology from Northeast Wisconsin Technical College in May 2016. Also from NWTC, he holds certifications in Nuclear Gauge Safety and U.S. D.O.T. HAZMAT. Sikorsky additionally has a one-year degree in photovoltaics, the conversion of light into electricity using semiconducting materials. Professionally, Sikorsky is a member of the Wisconsin Society of Land Surveyors (WSLS) and the American Society of Civil Engineers (ASCE). A Sturgeon Bay resident, Sikorsky has five sons, ranging in age from 19 to 4 years old.